Presenting compelling practice based evidence for narrative therapy. Narrative therapy introduces the idea that our lives are made up of multiple events that can be strung together in many possible stories. These stories can be developed to find richer (or "thicker") narratives, and thus release the hold of negative ("thin") narratives upon the client. 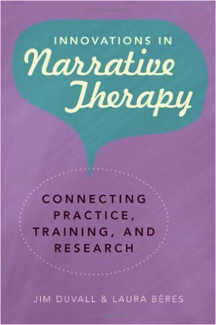 Replete with case examples from clinical practice, this is the first book to present a compelling evidence base for narrative therapy, interweaving practice tips, training, and research. The book’s rigorous, research-based approach meets the increasing demand on therapists to demonstrate the effectiveness of their approach, critically reflecting on both process and outcomes, expanding on the concept of evidence-based practice. 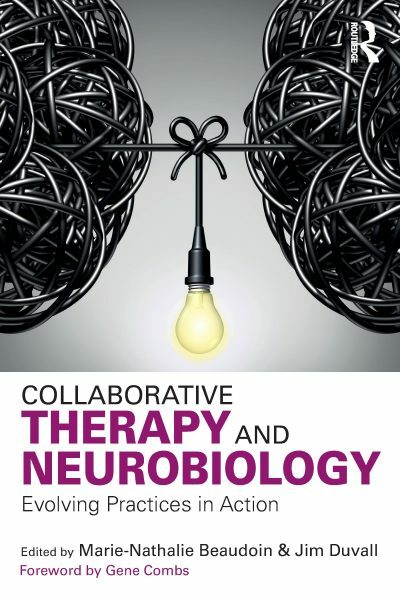 Collaborative Therapy and Neurobiology is the book many clinicians have been waiting for: an integration of twenty years of scientific and therapeutic cutting-edge ideas into concrete clinical practices. Interpersonal neurobiology and the development of exciting new technologies that allow us to better understand the brain have provided us with an enriched perspective on human experience. Yet, many clinicians wonder how to use this knowledge, and how these discoveries can actually benefit their clients. In particular, what are the concrete practices that each field uses to help clients overcome the issues in their lives, and how can these fields build on each other’s ideas? Could minimally developed concepts in each field be combined into innovative and powerful practices to foster client well-being? This book offers a collection of writings, which provide theoretical food for thought, research evidence, and most importantly hands-on, concrete clinical ideas to enrich therapists’ work with a variety of clients. Illustrated with numerous transcripts of conversations and clinical stories, the ideas in this book will stimulate the work of people interested in renewing their work with new ideas.